Holiday Giveaway Week – Bridesmaid Gift Ideas! Read on to learn more about each item, and to enter to win just leave us a comment here telling us what you love most about your girlfriends. We’ll accept entries all week long, and choose our winner randomly next Monday, December 24th, 2012. Combining delicate and beautiful handmade flowers with a vintage aesthetic, Jennifer of Mignonne Handmade is well known for her whimsical headbands, hair combs, pins, bridal veils, jewelry and plenty more. Today Mignonne Handmade is giving away the gorgeous Orange Blossom Necklace (pictured above), featuring a handmade orange blossom in ivory raw silk with brass detailing, a brass leaf and a hand cut leather leaf accent. The perfect thank you gift for a stylish maid of honor or bridesmaid! To see all of the pretty things Mignonne Handmade has to offer, visit their website and etsy shop. We can’t think of a better way to thank your bridesmaids for all their support than with some lovely pampering products. Sophie of Kitsch + Fancy fills her adorable etsy shop with pretty handmade scented soaps and scrubs, perfect for the gal loves unique, one-of-a-kind finds. We adore Kitsch + Fancy’s gift sets that include a bar of natural exfoliating goat’s milk soap, a 5 oz. sugar scrub made with organic brown sugar, and a tin of natural lip balm. Our winner today will win three gift sets (shown in the photo above) to give away to her girls! Finding the right bridesmaids’ dresses and accessories can be a time-consuming task, but Weddington Way’s online shop makes it super simple! With innovative features allowing you to compare favorite pieces side-by-side, share and rank favorite styles with your bridesmaids, and a tracking system that lets you to keep on top of bridesmaids’ orders, Weddington Way is the perfect for the busy bride with friends scattered across various states and cities. 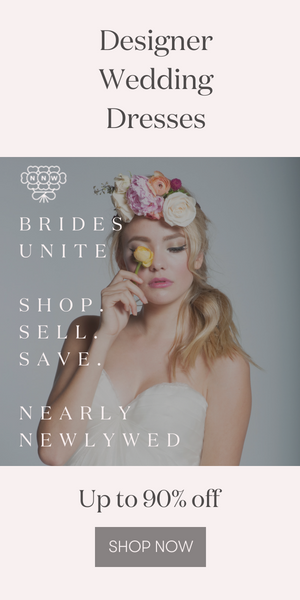 Our lucky winner of today’s package today will receive $100 toward any of the bridesmaid accessories from Weddington Way – and there are so many to choose from! Remember, all you have to do to enter is leave us a comment telling us why you love your girls. And don’t forget that we have a new giveaway each day this week – you can enter to win them all! Junebug’s Giveaway Week- Fashion and Beauty Gifts! I love how we support each other–we’re always there for another and root for each other to succeed. I love love love the fact that my girlfriends and I never stop laughing. We’re constantly cracking jokes or telling stories, it’s just always a great time whenever we’re together! What I love most about my true girlfriends is that they ALWAYS have my back. No matter how long it’s been since we’ve see or talked to each other – it’s like no time has passed. I love them so much! I love many things, but I love most is that they put up with my crazy. And i do have crazy. I like how we can pick up right where we left off… With friends spread across the country it’s important to spend the time you do have together having fun! That no matter how much time has passed our friendships are neverfailing – we can pick up the phone, send a text, meet for a quick coffee/lunch or drop off a “just because” gift without question. I love that we can laugh at and with each other! I love that no matter how long it’s been since I’ve seen/talked to my girlfriends, we always pick up right where we left off. We’re all really proud of each other and we let each other know it! I love my girls because they were a huge part in me figuring out who I am! I love that even when hundreds or thousands of miles separate us, we are able to stay close and keep in touch. I can’t get over how supportive my lady friends have been when my relationship with my fiance has been tough. They’ve been such amazing listeners and advice-givers, and it’s thanks to them that my fiance and I have gotten through some of our tougher times! I love that my girls are good listeners, they’re supportive, and have good hearts. Even though we’re all spread across the country, when we see each other or talk on the phone after a long period, it’s the distance and time apart is nonexistent. I love that my big sister (MOH) is more than just a sister, but my very best friend. Despite an 11 year age gap, we have always been buddies and no matter all that we have been through together (these past two years, the loss of our parents), going to college together when she got out of the Army, and just general shenanigans. A few months ago, we got matching Yogi and Boo Boo tattoos and we wear them proudly. My bridesmaids are amazing and each of them bring something unique to my life. I love that they support me in their own ways and how they always make me want to be a better person. But most of all, I love that even when we do not live in the same city, we can still come together and have the best time together. My girls are amazing because they’re the kind of friends that know my thoughts without me having to even say them out loud! I love how, no matter what, I can always count on my girlfriends to make me smile. I love that my girlfriends understand my humour, or lack thereof, and still love me and find ways to make me laugh and laugh with me. My girls always know how to make me laugh and keep me calm! I love that my girlfriends understand my dorkiness and go with it, and they are pretty dorky in their own right too. What I love most about my girlfriends is that they are always have my back no matter what. Love that no matter how long we’re apart it’s like we never were as soon as we’re back together! I love how each bridesmaids reflects a quality that I aspire to. Each one has a different strength and reminds me of why we have such strong bonds. From a childhood friend who can look past so many challenges, a long time friend who can continue where we left off a year ago to a sister who is always by my side. We continue to grow beside each other through thick and thin. I don’t know what I would do without my girls! Beautiful giveaways! Bridesmaid would love these!